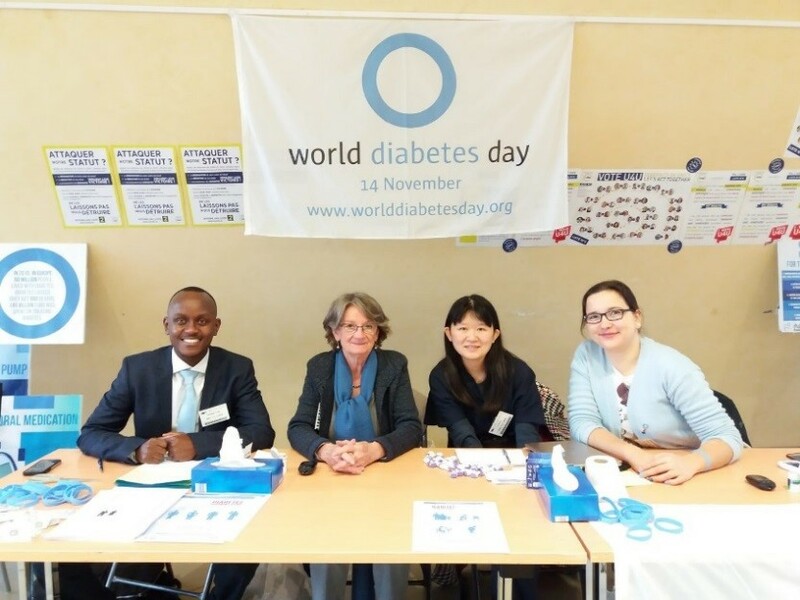 The week of World Diabetes Day (WDD) was extremely active for the IDF Europe region where activities focused on high-level advocacy efforts towards Members of the European Parliament (MEPs). This year, WWD coincided with the European Parliament’s plenary session in Strasbourg, France and so, the European regional office raised their voices not only in Brussels, Belgium but also in Strasbourg. The team organised simultaneous and parallel diabetes awareness activities during the week (12-16 November), and the events were well attended with great interest. At the European parliament in Strasbourg, blood glucose testing was offered to MEPs and EU Commissioners. 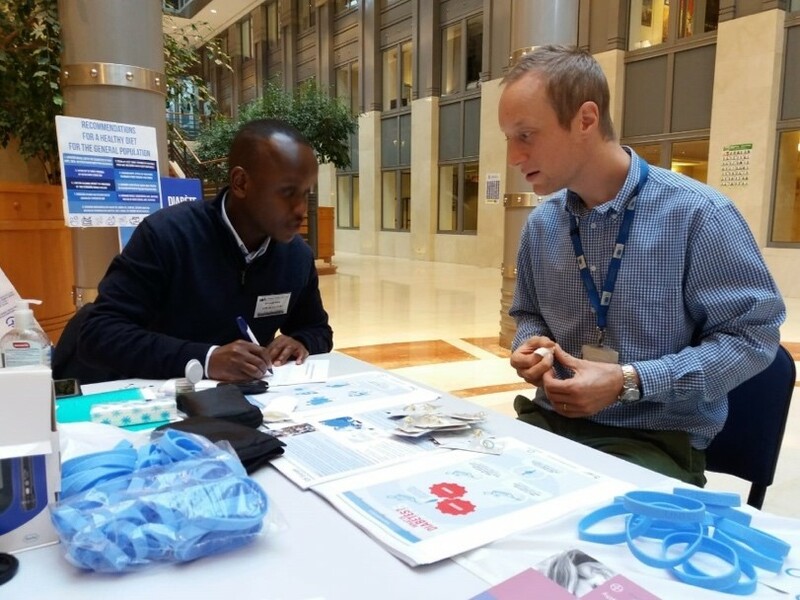 The IDF Europe team together with French member Fédération Française des Diabétiques (FFD) distributed diabetes awareness materials and offered blood glucose tests to policy makers and staff to educate about the importance of regular testing and early diagnosis. Around 400 tests were conducted by nurses from the Centre Européen d’Etude du Diabète (CEED). 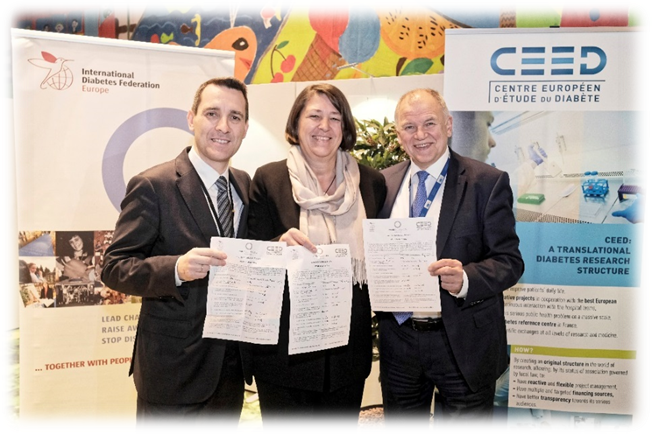 Health and Transport Commissioners, Vytenis Andriukaitis and Violeta Bulc and MEPs dropped by the WDD stand, showed commitment, and tested their glucose level together with Regional Manager, Ignacio Garamendi. Type 2 diabetes can often be prevented and managed through a healthy diet, and this year IDF Europe proposed the ‘Healthy bowl’, a healthy and tasty option for people who work at the European Parliament to choose for lunch. 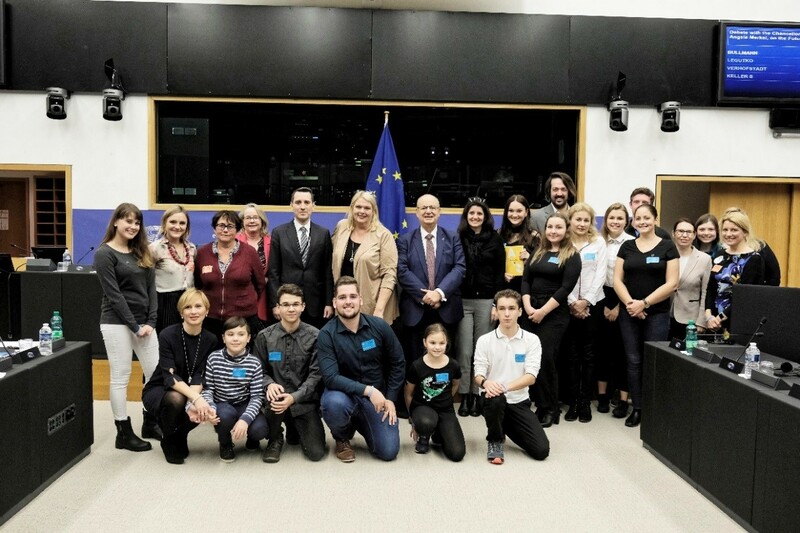 The main event of the week in Strasbourg was a lunch debate on the 13th November which focused on the WDD theme Families and Diabetes and was hosted by Francis Zammit Dimech, MEP. The high-level debate opened with a discussion between MEPs, the Commission and social and health experts on subjects that included: ageing of the population and teachers’ involvement in student diabetes management. MEPs Nicola Caputo, Marisa Matias, Anna Hedh, Roberta Metsola, Jana Žitňanská, speakers Ms Katarzyna Gajewska, Dr Isabelle Bourdel-Marchasson contributed on this and other subjects. IDF Europe high-level advocacy activities were also organized at the European Commission in Brussels between 13-15 November. More than 700 BG tests were given to staff. 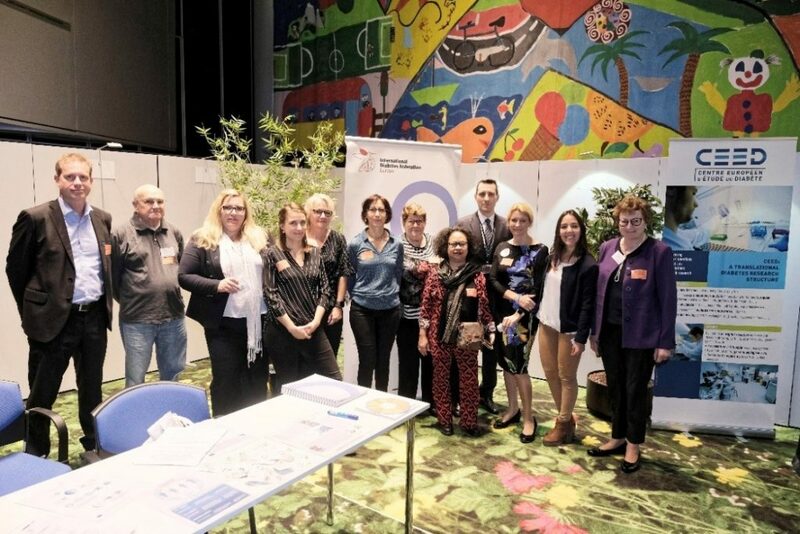 An exhibition on diabetes prevention was presented in Brussels with key messages available in various European languages. Educational flyers on risk factors of type 2 diabetes were distributed reflecting IDF Europe as the frontline organisation for people living with diabetes and healthcare professionals. IDF Europe’s project and policy officer, Winne Ko together with professional officer Dr Ernest Karuranga offered a lunch presentation entitled “From individuals to families: key takeaways for the prevention of type 2 diabetes”. The presentation was live web-streamed and was followed by more that 300 online users. This presentation can be viewed for the next 24 months following this link.